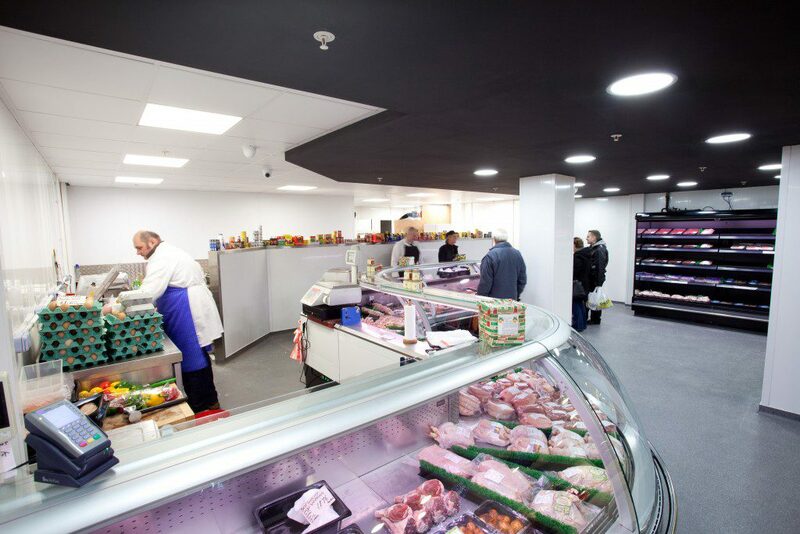 Marley’s Butchers were originally an independent store situated within the market however as the area was being refurbished, the customer decided to have a larger shop in the new part of the shopping centre. 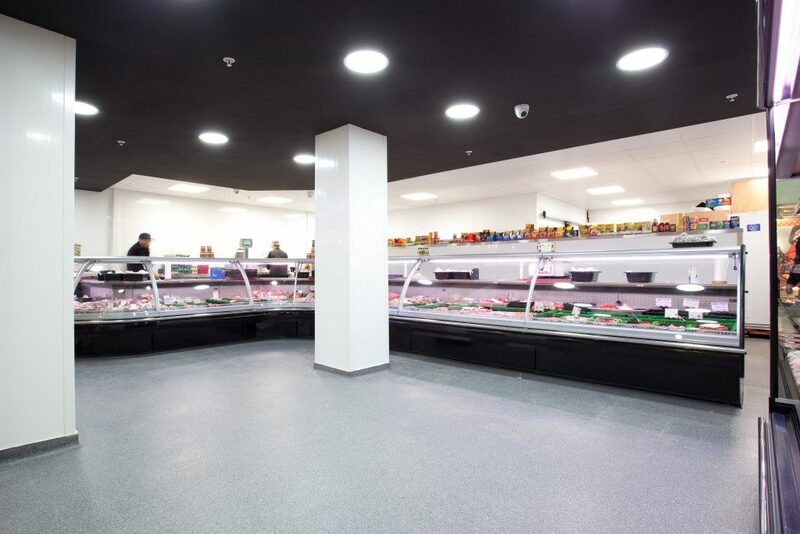 The first stage of the installation was to supply & install a new polyurethane floor for front of house and a Monile polymer screed for the rear of shop. 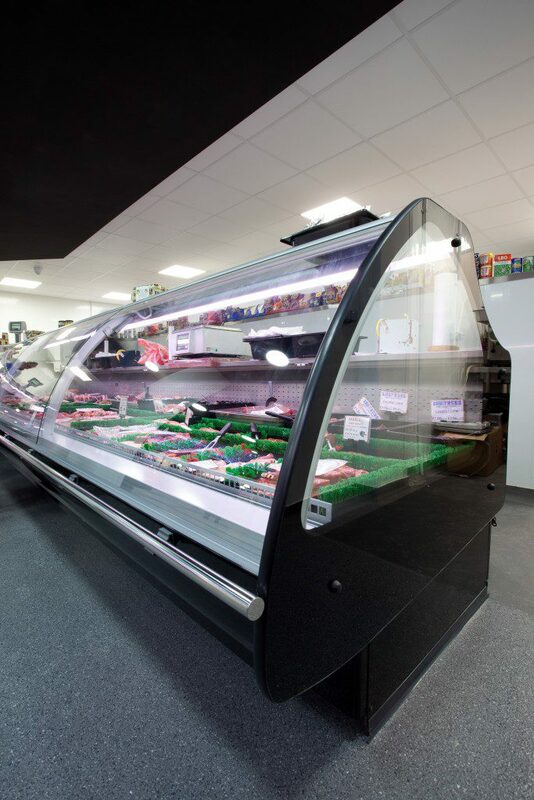 We then installed a refrigerated Frost-Trol S shape meat serve over counter with curved glass and a 2500mm Multideck chiller, which is designed and run from a twin digital refrigeration condensing system which is located over 40m away within the loading bay. This type of digital condensing unit can save between 20-40% of energy against a conventional condensing unit. 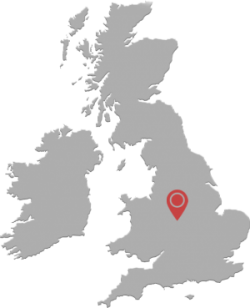 We were also delighted 6 Months later when Mr Marley asked J&M to quote for his Daughters deli shop which was situated next door to the original store. 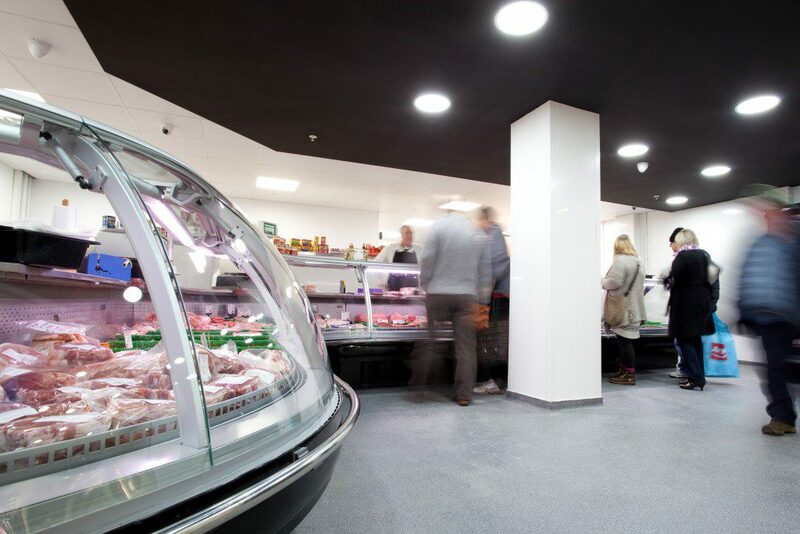 The Deli area consisted of a run of Frost-Trol counters in an L Shape, which was then connected to the existing digital scroll condensing system for the Fresh Meat area.